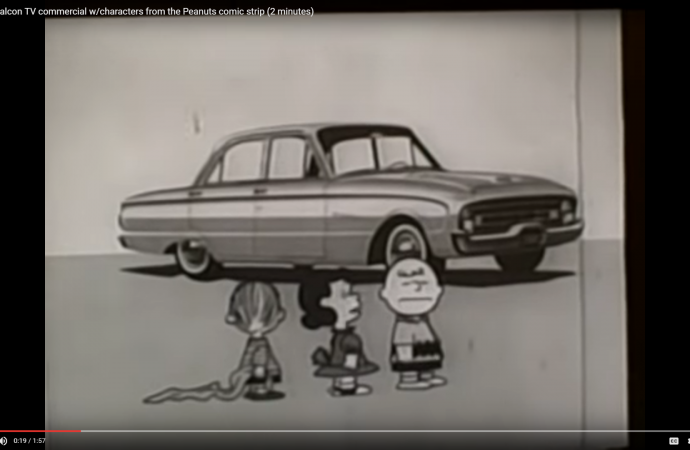 'Is this a commercial?” Linus, a character from the Peanuts comic strip, who learn about Americas best-selling compact car, the 1960 Ford Falcon. 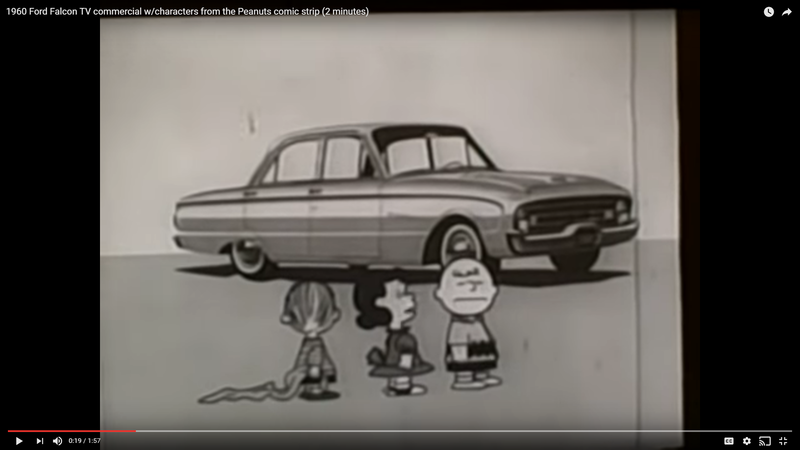 ‘Is this a commercial?” Linus, a character from the Peanuts comic strip, asks in a two-minute animated TV commercial voiced by Paul Frees, also featuring Charlie Brown and Lucy, who learn about Americas best-selling compact car, the 1960 Ford Falcon. Frees tells Linus that all the other six-passenger compact cars don’t measure up to the Falcon’s price points, a whole $154 less than other compact cars, and the Falcon also saves drivers money because it can go a whole 4,000 miles between oil changes and gets 30 miles per gallon.